Philippians sets forth three pillars of Jesus Christ’s thought life that we should model our thinking after. They are humility, passionate service for God and others, and unwavering obedience to God. If we want to think like Jesus Christ, we must train our mind to think thoughts rooted in humility, service, and obedience. There is no selfishness in humility. There is no pride in humility. There is no self-exaltation or self-glorification in humility. Humility is always bowed in loving reverence and adoration at the throne of God. Out of humility flows all true service to God and all faithful obedience to Him. We cannot serve God if we are not humble. We cannot obey God if we are not humble. We cannot love God if we are not humble. If humility does not dominate our thoughts, we cannot love, serve or obey God with all of our heart. Humility recognizes a complete dependency on God in everything. Humility recognizes that God is our sufficiency, our provision, our strength, and our all in all. Humility realizes that with God we lack nothing and have everything. Without humble thoughts being the pattern of our thinking, our hearts become proud and hardened against the ways, purposes, and counsel of God. Pride is the opposite of humility, and God hates pride. Our thoughts are either dominated by pride, which is rooted in selfishness, or by humility, which is rooted in the fear of God. When we peel away all the layers, we could characterize every primary thought pattern of our minds as either humble or prideful. The first checkpoint for every thought that occupies our minds should be “Is this thought full of pride or humility? Is it full of selfishness or selflessness?” If it is full of pride, then deny it access into your heart. If it is full of selfishness, turn it away before it does more damage. Never welcome pride or selfishness into the home of your heart, or it will soon move in with all its friends and take over. If pride is currently dwelling in your heart, give it an eviction notice immediately. It must leave if Jesus is to make His home there. God sets forth very clearly in His Word in Philippians 2 that the most important trait we can ever have in our thought life is humility. When our thoughts are humble, we will be walking in great love for God; we will be worshipping and obeying Him, and giving Him the proper place in our hearts. When our thoughts are humble, we will be loving and serving others with the love of Christ and working tirelessly to help, minister, and care for their needs. All self-sacrifice for God and others flows out of a thought life that is consumed with godly humility. Humility realizes we are nothing without God, but it also recognizes the glorious privilege and blessing it is to be called a son of daughter of God. Humility is not to have a horrible opinion of ourselves, but seeing ourselves as God sees us. God made each of us lovely and acceptable according to Ephesians 1:4-6. God has beautifully created each one of us to be a masterpiece in Christ. He has birthed us as children and with this honor comes great responsibility to think and act with the heart of Jesus. Do you want your heart to be a beautiful reflection of Jesus? Do you want the love and compassion of Jesus to flow like a mighty river out of your heart? It begins with having thoughts filled with the humility of Jesus. People will never see Jesus in our lives unless we are humble. Nothing kills the reflection of Jesus in our hearts quicker than pride and selfishness. James 4 sets forth why humility is so important. The Greek word translated “resists” means to set an army against and to line up in opposition. This is a military term that paints a picture of a great army taking its position in battle to wage war against its enemy. Pride calls out God’s armies to battle! God sets Himself and the host of heaven in defiance against every form of pride. Trench describes pride as “human nature in battle array against God. [i]” Do you want to battle against God? Do you God to oppose you in the things you do? Or do you want God’s grace to super-abound in your life? Seek out and destroy every remnant of pride that raises its ugly head in your thoughts and learn to think humbly according to God’s Word. God goes to battle against pride and sets Himself in strong opposition to any heart that is centered in pride. Pride is lethal because it lifts up the heart against God. Pride is God dethroned and self-enthroned. Pride is self-exaltation and self-glorification in a foolish attempt to disown any trust or reliance upon God. Pride cherishes its role as the supreme ruler of life, and arrogantly declares its independence from God. Pride is ultimately built on contempt and disdain for God and even other people, because it declares it is too good to need anyone’s help. Richard Wolff, in General Epistles of James and Jude, Contemporary Commentaries, explains that the Greek word for pride in this verse “reflects a false self-estimate which manifests itself in arrogance. The emphasis of the Greek word falls on thought, not speech, as an attitude cherished in the secrecy of the heart.”[ii] All pride begins with a thought, and the thought is normally rooted in a mistrust of God’s character, faithfulness, and love. All rebellion against God and His truth has at its foundation a heart that has sold out to pride. All pride begins in our thinking, when we take our eyes off the Lord. Establishing thought patterns of pride in our daily thinking is like playing with spiritual dynamite. It is powerful enough to destroy not only our lives, but also the lives of many around us. We can never take the glory or the credit for anything. Only by the grace of God can we do anything. It’s all about Him working through us and in us to accomplish His magnificent will and purposes. Every thought should bring God glory. Only when our thoughts are grounded in humility can God get the glory He so richly deserves. 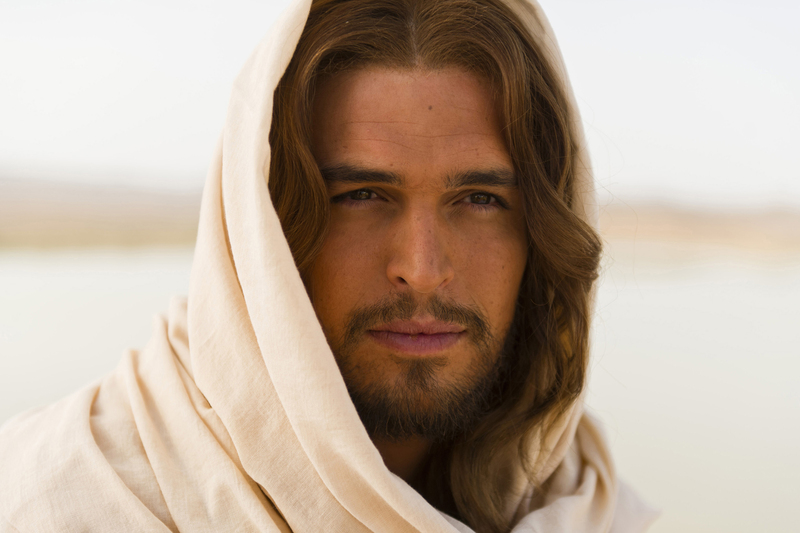 Jesus Christ also did not have one ounce of fear in his thinking. During a great storm on the Sea of Galilee, waves pounded on the tiny boat He was in, and it was filling with water. Jesus was sleeping soundly when He was frantically awakened by His disciples. He rebuked the wind, crying out, “Peace be still” (Mark 4:39), and reproved His disciples for their lack of faith. No fear, anxiety, or worry ever entered the thought life of Jesus. He taught His followers to not let their hearts be troubled (John 14:1, 27). The Greek word translated “troubled” means agitated, disturbed with various emotions, and restless. Jesus Christ had complete inner tranquility in his thinking. He had no thoughts of agitation, restlessness, or emotional turmoil. Nothing disturbed or agitated Him. His thought life never collapsed into fear, no matter how dire and distressing the circumstances. Jesus had great compassion for people who were hurting and suffering from physical and spiritual ailments. He healed the sick, cast out devil spirits, fed the hungry, taught those who lacked understanding, and touched the untouchable. With great love He went into the valley of human need and ministered to the undesirable, the outcasts, the despised, and the unwanted. His thoughts were full of love and compassion as He reached out to the rejected and forgotten. He constantly thought about setting the captives free, healing the brokenhearted, and delivering the downtrodden. There was deep emotion in the heart of Jesus Christ. But this emotion was never out of control. It was always centered in the will of God. This emotion turned into powerful action because Jesus was in tune with the heartfelt emotions of His Heavenly Father. Jesus was moved, Jesus cried, Jesus was touched, Jesus was zealous, Jesus was angry, Jesus loved, Jesus cared, Jesus was joyful, Jesus was grieved, Jesus groaned, Jesus was indignant, Jesus was compassionate, Jesus was patient, Jesus was kind, and Jesus was sympathetic. These emotions moved Jesus to accomplish God’s will in the needs that were thrust before Him. We can never let our thought life be dead to the passions of our God. The heart of God is full of wonderful emotion, and we must tap into this emotion in our thought life so it moves us with compassion to do the works of God. Our thoughts should be full of great compassion, empathy, and love for all who are broken, crushed, and beaten down in life. Many of the fruits of the spirit listed in Galatians 5:22,23 are emotions that are birthed in the spirit and not the flesh. These are powerful spiritual attitudes that flow out of our new life in Christ. All great passion for God begins with the spirit of God being energized in our thought life. We must follow in the steps of our Lord Jesus Christ and never lose our zeal for God. Like Jesus, we must think thoughts of relentless love, unquenchable joy, and undying compassion for our God and for others. Then we can truly do the work of His kingdom on the earth. Jesus never had a thought of unforgiveness or bitterness. These twin toxins to the heart have dominated the thought life of every generation in human history. Unforgiveness and bitterness have destroyed relationships, taken down kingdoms, and caused sickness and death. Jesus was the first person to never exercise one ounce of unforgiveness or bitterness in His heart. Jesus took forgiveness to a whole new level that is almost incomprehensible. He demonstrated great mercy and forgiveness in his thinking, no matter what the circumstance or offense. He forgave the woman caught in the act of adultery when everyone else was ready to cast a stone and condemn her (John 8:3-11). Jesus did not beat people over the head with religion or their past mistakes, but He showed wonderful mercy and loved them unconditionally. He never gave bitterness a passing thought, for it would poison His spiritual life. He was not offended when people rejected His teaching, ridiculed His name, and even spat in His face. He was not offended when He was viciously beaten to the point that no one could even recognize he was a man. He was not offended when He was mocked as King of the Jews and a crown of thorns was shoved into His brow. He was not offended when He hung on a cross in great agony for over six hours, even though He was completely innocent. He forgave every one in the mob who yelled, “Crucify Him!” He forgave the religious leaders, who had broken numerous Hebrew laws in plotting His death, and the Romans who carried out the terrible sentence. He knew that to be the Savior of mankind, He had to have forgiveness that was deeper than the deepest sea and higher than the highest mountain. He never allowed a root of bitterness to grow in His thought life. Jesus Christ’s thought life was a beautiful illustration of the Word of God. The Scriptures dominated and controlled His thinking. Jesus is the Word, but Jesus also thought the Word. His thinking exemplified the great battle in the wilderness with the Devil when He overcame each temptation with an “It is written” mentality. Jesus’ mind was fixed like a laser on truth, as He never allowed any thought to stray from the truth of Scripture. Every thought was measured by Scripture, every thought was tested by Scripture, and every thought was judged by Scripture. The beauty and purity of the Word of God was the foundation of His thought life. Jesus Christ is the truth, and everything He thinks is the truth. John 1:14 says that Jesus Christ is completely and perfectly full of truth and that truth fully came on the stage of this world with Jesus Christ. Every thought, word, and action of Jesus Christ was built on truth. God wants each Christian believer to come to the knowledge of the truth according to 1 Timothy 2:4 and allow the greatness of truth to sanctify and purify our thought patterns. Jesus tells us in John 8:31-32 that when we continue in the Scripture, reading, memorizing, and reflecting on its words, we shall know the truth and the truth will set the heart free from any prison that is holding it captive. Truth in our thinking leads to great physical, mental, and spiritual freedom in our hearts. If we want to be set free from whatever burden is holding us back from living passionately for God, we must allow the truth of the Bible to govern our thought life. Either the truth of God or a lie is controlling our thought life. God gives truth, and the Devil speaks lies and deception. We must decide which takes control of our thought life. If truth does not live and breathe in our thinking, we will eventually fall into the snare of the Devil, and our thinking will turn from the truth of God and embrace a lie. The Devil is always trying to turn our thinking away from the truth. It is important to establish patterns of truth in our thinking so our dominant thoughts center on the truth of the Bible. That is the only way we can stand against the onslaught of our enemy in spiritual warfare. Ephesians 6 states that our minds must be clothed with the truth, for this is part of the whole armor of God. The Devil is always after the truth. He wants us to doubt, resist and reject the truth in our thinking. He wants to eliminate every vestige of truth in our thought life. The Devil hates the truth because it brings glorious light and reveals that he is a failure, a liar, a deceiver, an imposter, and a counterfeiter, doomed for destruction. He opposes the truth with everything in his kingdom, but the truth will always prevail, for it can never be broken, eradicated, or overcome. Are we sleeping with the enemy in our thought life? Are we yielding our thoughts to the slithering deceit of our spiritual adversary? Is our thinking a testimony to truth? Or is it a testimony to the prevailing winds of our culture? Does the Bible, with its message of truth, have any place in our thoughts? Or has truth fallen by the wayside and become the missing ingredient in our thinking? Where does truth stand in relation to the way we think? Are we too busy for the truth? Do we even believe there is such a thing anymore? Where your thought life stands in relation to the truth of God revealed in Scripture is directly related to the spiritual health of your heart. Without truth your heart will always be a dust bowl of confusion. You will not know the destructive path your heart is stumbling on. Truth is the lifeblood of the heart. Truth is the food the heart needs to grow spiritually into the image of Christ. How much truth does your heart have? The amount of truth that dwells in our hearts is determined by how much truth occupies our thinking patterns. God has given us a magnificent gift to keep the heart centered on truth. God gave us a wonderful helper and companion to help us with our thought life: the gift of the Holy Spirit, which we receive when we are born again. This is the Spirit of truth. As God’s Spirit lives and moves within us, it guides our thinking to the truth if we have ears to hear and eyes to see. We need the help of the Spirit of God, the Christ that lives within us, to think properly and accurately according to truth. We cannot get our thinking on the proper track and keep it on the path of God without help from God. He always brings our thought patterns back to truth if we listen to Him. Without our thinking rooted in truth, we will be blown about, like a tumbleweed in a windstorm, by the philosophies, ideas, attitudes, and beliefs of the world. We will have no stability in our thought life because it is not built on the rock of truth, but on the sinking sand of opinions and lies. Every word in Scripture is God-breathed, and only the Word of God can transform our thinking to reflect the glory, grace, and beauty of our God. Transformed thinking transforms the heart. It moves the heart to do the will of God and molds the heart into the image of Christ. [i] Richard Trench, Synonyms of the New Testament (Grand Rapids: Wm. B. Eerdmans Publishing Company 1953), 102. [ii] Richard Wolff, Contemporary Commentaries, General Epistles of James and Jude, Contemporary Commentaries, (Wheaton: Tyndale House Publishers, 1969). [iii] David Ravenhill, Surviving the Anointing: Learning to Effectively Experience and Walk in God’s Power (Shippensburg: Destiny Image Publishers, 2007), 135, 136. [iv] Ian Thomas, The Indwelling Life of Christ: All of Him in All of Me (Colorado Springs: Multnomah Books, 2006), 151. [v] Eric Ludy, The Bravehearted Gospel (Eugene: Harvest House Publishers, 2008), 167, 168, 174, 183. This entry was posted in Bible Teachings, Inspirational Messages and tagged blessings, God, heart, humility, Jesus, no fear, obedience, passion, Philippians 2, pride, reflection, right thinking, selfishness, service, serving God, think like Christ, thoughts. Bookmark the permalink. Thank you for all these teachings on the heart. I believe this is the most important subject of encouragement the body of Christ needs, whether one is a new born Christian, or has been a Christians for many years, we can all benefit from it. I often read these types of encouraging teachings over and over, as I see meditation as a vital key to hiding God’s word in our hearts, so that we don’t sin against Him. It takes a long time for the human sinful mind to change, but once our thought life has been dealt with, godly actions will follow, and we will see a huge difference among God’s people, and we will be that set-apart nation that He wants. I encourage you to continue encouraging us with these type of teachings, which so many of us need. Thanks Gillian. I appreciate the encouragement and comment and I will keep writing. God bless you.